SAN JOSE, CA--(Marketwire - April 22, 2010) - Continuing to expand their mobile business collaboration offering and improve the online meeting experience for users, Cisco (NASDAQ: CSCO) today announced a new, free, downloadable Cisco WebEx Meeting Center application for BlackBerry® smartphones. 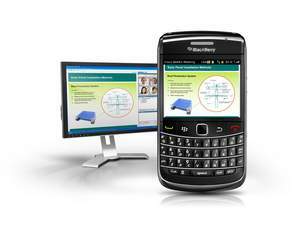 Users can now directly download the Cisco WebEx Meeting Center application for BlackBerry smartphones from webex.com or on BlackBerry App World™ at www.blackberry.com/appworld. Or, when a user clicks on the WebEx meeting URL from email or a calendar invitation on the supported models of BlackBerry smartphones, they will be prompted to download the application at that time. 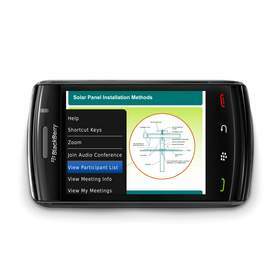 The in-meeting experience on BlackBerry smartphones allows participants to view shared presentations, applications, and desktops with live annotations. In addition, BlackBerry smartphone users can see the attendee list, find out who's talking at a particular time, and chat privately with one or all of the attendees. "World Vision works with people in the developing countries, even in the most remote locations," said Adam Bricker, chief information officer, World Vision. "The ability to conduct WebEx meetings from BlackBerries -- with audio and data sharing -- means that now all of our World Vision personnel can communicate and collaborate anytime, anywhere. This is extremely important to our productivity in North America, and critical for remote participants where this may provide their only access." Cisco, the Cisco logo, Cisco Systems, and Cisco TelePresence are registered trademarks or trademarks of Cisco Systems, Inc. and/or its affiliates in the United States and certain other countries. All other trademarks mentioned in this document are the property of their respective owners. The use of the word partner does not imply a partnership relationship between Cisco and any other company. This document is Cisco Public Information. The BlackBerry and RIM families of related marks, images and symbols are the exclusive properties and trademarks of Research In Motion Limited. RIM, RIM assumes no obligations or liability and makes no representation, warranty, endorsement or guarantee in relation to any aspect of any third party products or services.